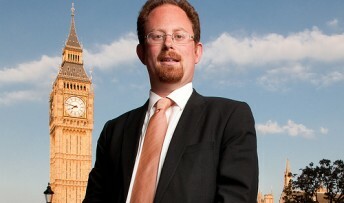 MP Julian Huppert will call on Parliament today (Tuesday, January 28) to provide more support for excellent colleges such as Cambridge Regional College and Hills Road and Long Road Sixth Form Colleges. He will highlight the low funding that they receive, the fact that unlike schools, they have to pay VAT, and that controversial funding cuts to education for 18-year-olds will have a significant impact on disadvantaged students. The hardest hit will be those students who have left school without the necessary qualifications to progress directly to a level three qualification, he says. Julian will take part in a debate in Westminster Hall as the government plans to reduce the full-time funding for 18-year-olds to 17.5 per cent less than 16 and 17-year-olds. The move has been revealed in a Department of Education report a month after it was announced by Education Secretary, Michael Gove. “At a time when youth unemployment remains high these are the skills we should be investing in, not cutting,” says Julian. “But instead these cuts target the very people who need help the most, many who have become disillusioned with education and need support to go further. Julian will tell Parliament that this latest cut in funding on top of other cuts made or planned will mean Cambridge Regional College will lose £4.85 million over the next three years – a 26 per cent reduction. And the principal of Cambridge’s Long Road Sixth Form College has reported to Julian that the college has no practical way of changing its curriculum offered to students enrolled on level two courses this year and hoping to move onto level three next year. They have undertaken those courses expecting to have the same level three options as other students and it would be wrong to be offering them less, says Julian. “We should be investing in our young people not pulling the rug out from under them,” says Julian. “We need to make sure that everyone has the same opportunities and we know that young people from disadvantaged backgrounds struggle to make the most of education.